So I wanted to update you all with a picture of my favorite fried rice. Please see original post here. 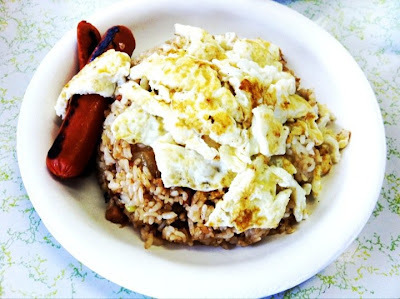 Sunny Side in Wahiawa on Kilani Street has the best fried rice you will taste. Order their "Fried Rice Special," which comes with eggs (any way you'd like) and a grilled hotdog! You will not be disappointed! Sunny Side is also very well known for their pies. No pictures yet, but that will be soon! Just gotta get out there first...such a long drive!